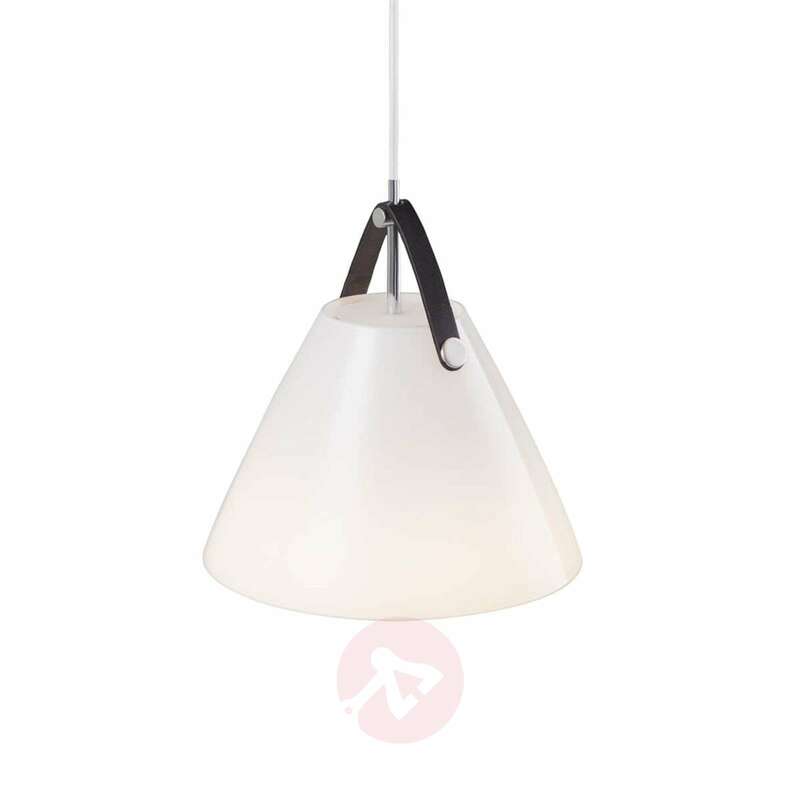 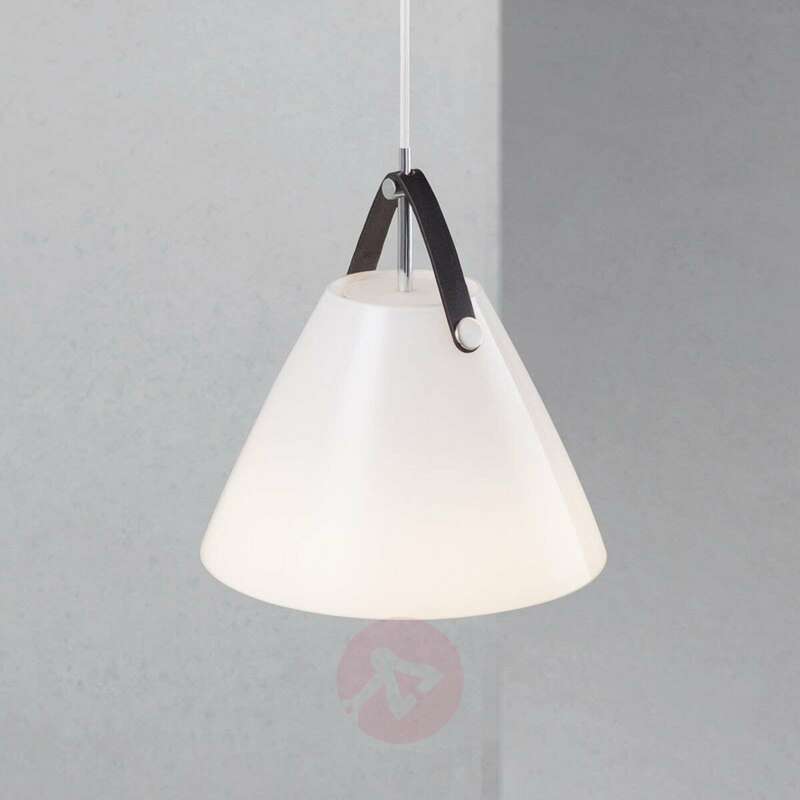 The Strap hanging light is made of white glass and comes with two leather straps for hanging the light on the suspension system - one strap is brown, the other black. 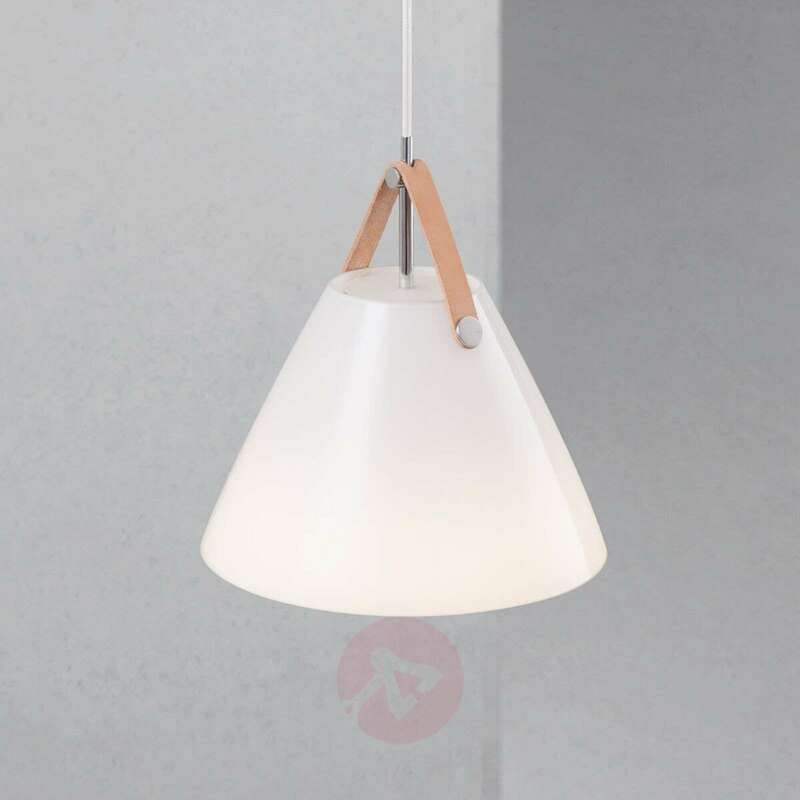 This small but extremely effective detail is what gives the light its unique appearance and allows you to change the look. 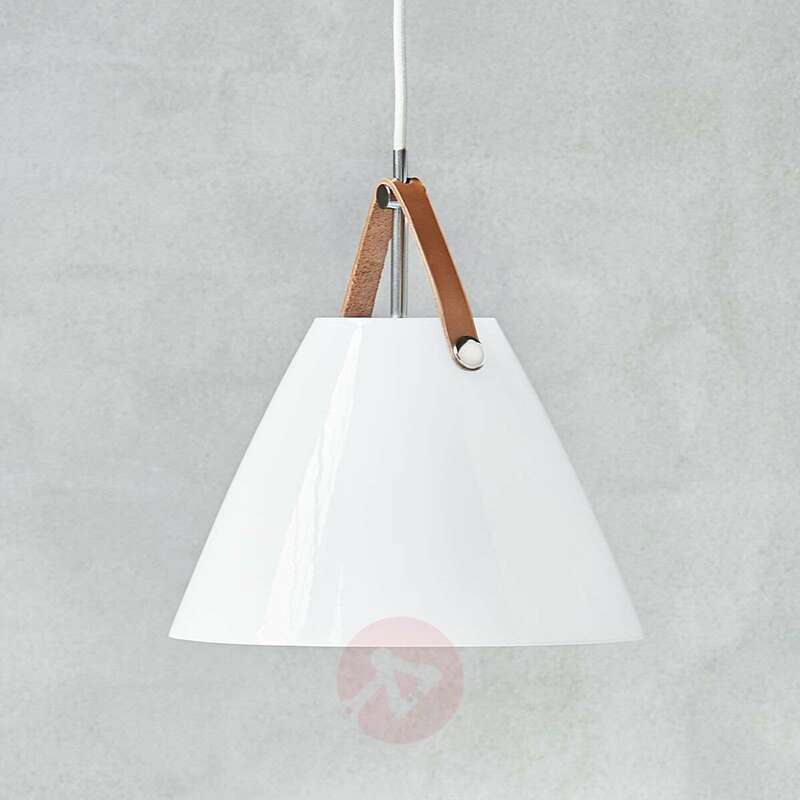 The glossy white glass lampshade allows the light to shine upwards and downwards as well as softly through the glass, providing the room with pleasant general lighting. 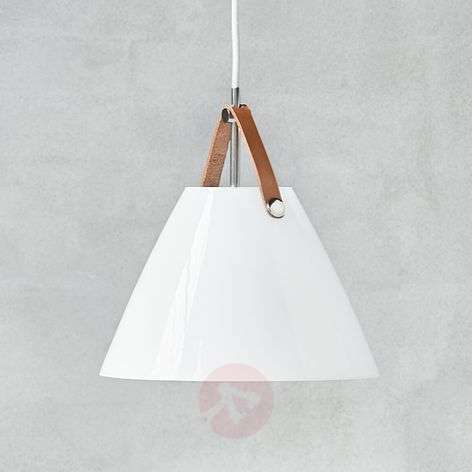 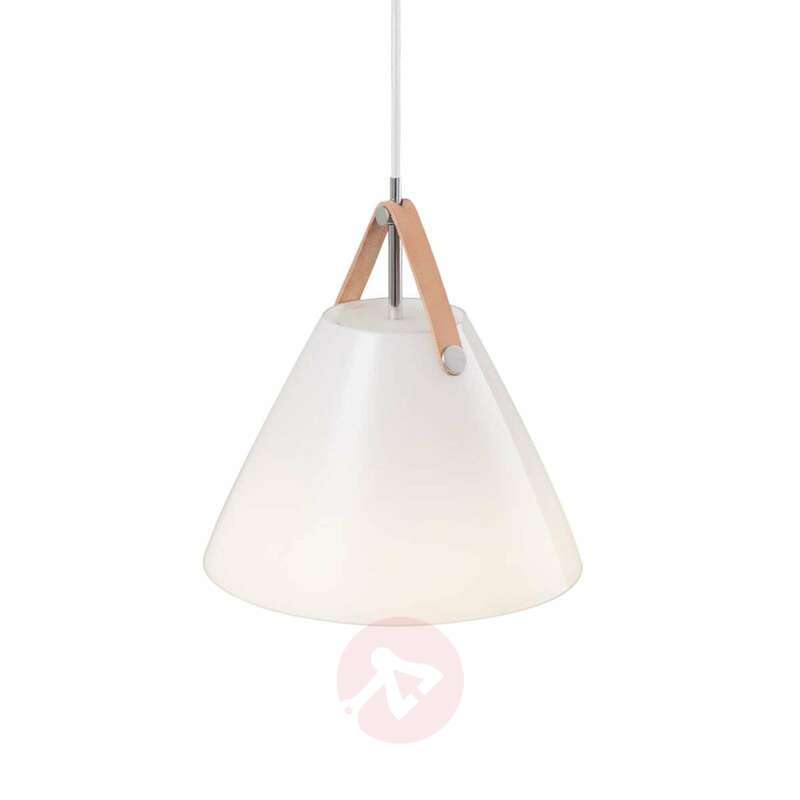 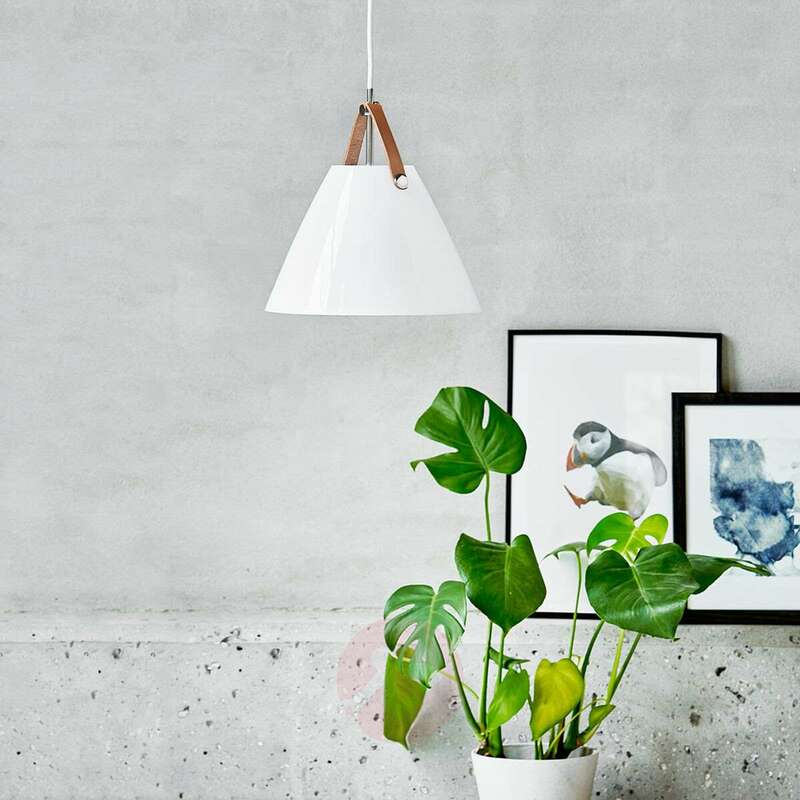 The hanging light can be used with any LED bulb with an E27 base and comes with a 300 cm long fabric cable.